The rate of youths considering studying or working abroad to gain international experience while attending university has increased steadily. One of the main factors for this tendency is globalization. In this globalized age where the world is more interconnected and even more borderless, university students need to develop capacities to satisfy the demands of a global society in which they live and work. Global competence is more important for students than ever before for their future. To promote the development of students’ global competence, Chonnam National University (CNU) is now providing various overseas study and internship programs. 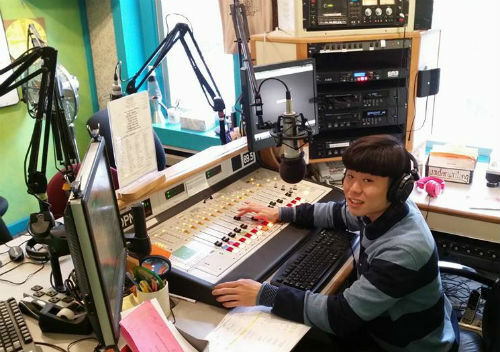 The Chonnam Tribune will give information about those outbound programs based on listening to the opinions of students who participated in three main programs; language, exchange student and internship programs operated by the Office of International Affairs (OIA). The Language Program aims to encourage students to learn a foreign language at universities in foreign countries. The students participating in the program do not take regular courses with local students but can only take language classes. They will learn English, French, German, Chinese, and Spanish at 33 partner universities worldwide. More than 200 students have studied foreign languages through this program in the last two years. Most partner universities do not require a certain language qualification and students can achieve up to 12 credits as general electives or 9 credits as liberal arts. Almost all of the students can get two million won as financial support from CNU, but those who chose Chinese universities are exceptional since they just need to pay for CNU’s tuition. Even though this program is helpful and effective for students to learn a foreign language, some students complained about the program because of the lack of financial support. Kim said, “I needed to pay the tuition fees of both the host university and the home university at the same time and it cost about five million won, which added a heavy burden on me.” Even though the students joining the program are not taking regular classes, they cannot always be exempt from the host university’s tuition. With regard to this matter, luckily, according to Kang Shin-hye, the coordinator of the OIA, the OIA understand the students’ situation and they decided to give participants extra financial support of 500,000 won starting from this year. 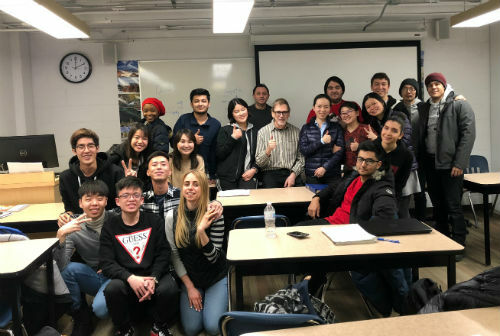 The students who want to experience campus life while taking regular classes with local students at a foreign university should consider the Exchange Student Program. There are more than 150 partner universities in about 40 nations that students can choose to study abroad. Exchange students can spend up to two semesters at a partner university overseas and can achieve up to 18 credits in major, general elective and liberal arts courses. Almost all the students can basically get a grant between 500,000 and two million won depending on the region. Moreover, the biggest advantage for exchange students is that they do not need to pay the host university’s tuition fees. This program is the most popular overseas program in which 490 students have participated in the last two years. Its most distinctive feature is that the students can take major courses at the host university. Former exchange students said that there was something special. Cho Ju-hyung (Senior, Dept. of English Language and Literature) who went to Salisbury University in the U.S. for one semester said, “I took three major courses and the one special thing that I noticed was that almost all the classes had discussion time. 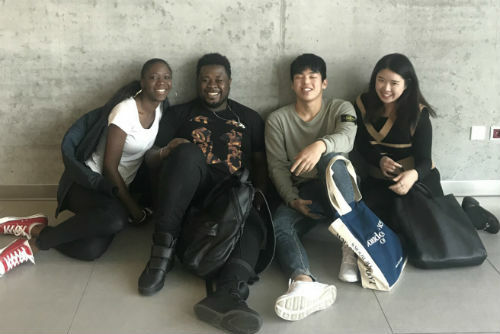 Students freely presented their own opinions in the class and their participation influenced their final grade.” She advised that future exchange students needed to consider the level of the classes and their own interest before selecting courses. If they did, their first experience of university life in a foreign country would be much more meaningful and enjoyable. ▲ Yun Da-ae giving a presentation about a business project at the REDI in the U.S. The International Internship Programs aim to offer opportunities to gain overseas working experiences to students. Students can work as an intern at the partner institutions or at the facilities of the universities in foreign countries including Thailand and Poland. There are two types of internship programs which are paid and unpaid. In a paid internship program students can earn a wage of eight to nine dollars per hour, and CNU gives two million won as financial support. An unpaid internship is operated by CNU’s partner university, the University of Missouri-Columbia and the Washington Center in the U.S. The financial support from CNU is higher than the paid internship which is four million won. In both internship programs, students can get up to 18 credits as general electives. Since the internship programs require a high level of language ability, only 57 students participated in the programs during the last two years. Because of the low participation, students might not have much information about what international student interns can do. Yun Da-ae (Senior, Dept. 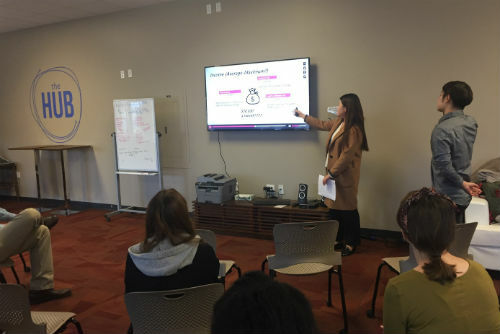 of English Language and Literature) who did an internship at the Regional Economic Development Inc. (REDI) via the University of Missouri-Columbia explained, “The REDI, where I worked, was an economic center which helps small businesses and start-up companies for free. My role was to manage the overall event schedules of the conference hall where the company provided information to small business owners and promoted the events by using posters and uploading them on SNS.” As stated by the former participants’ reports, during the internship program students can have a special experience of working in a local company and they are able to meet many people living and working overseas. The three different types of overseas programs have their own traits, and students can choose one based on their goals and abilities. Students who want to learn a foreign language by using it in daily life and by taking language classes should consider the Language Program. For the Exchange Student Program, students who are interested in studying at foreign universities and taking regular classes with local students may choose this program. Lastly, students who want to have a special working experience in a foreign country and improve their language skills might want to participate in the International Internship Program. Learning and working abroad is like a new adventure for most students. However, none of the three programs fully got good evaluations from students. The biggest problem that students had faced was insufficient support from their home university. But, as claimed by the OIA’s officials, those matters will be improved in the near future with additional support offered by the university. For students who want to improve their global competence, the best chance to go abroad with a smaller budget is participating in the programs provided by CNU. Therefore, the Chonnam Tribune hopes students could well consider the advantages and the difficulties they might face while joining the outbound programs and select the program that is suitable for them.